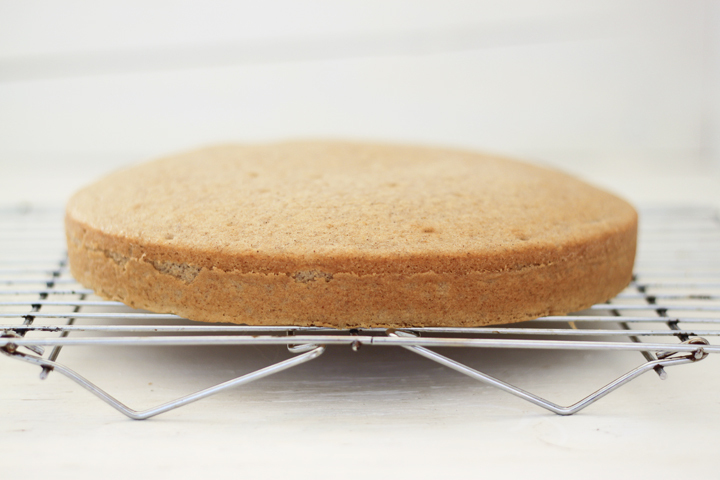 Snickerdoodle Cake — always with butter. This cake is for my parents. They are going to Chile on Thursday, so I made them a Bon Voyage cake, in one of my Mom's favorite flavors. They won this trip so it is very exciting for them to go. Isn't that crazy? Win a trip to Chile, hotel, flight, spending money, etc included. Lucky Mom! It is through Travelocity, so they even have a little gnome to carry around and take photos of him everywhere. This snickerdoodle cake and brown sugar frosting combo is super tasty. The cake comes out really moist. And the frosting, it is just 'stand at the counter and eat with a spoon' good. I cut the cakes into four layers just to add in more frosting. And it is a lot of frosting, three batches to be exact. Very healthy, right? Thats 6 1/2 sticks of butter in the whole cake.